Ask Leo! articles now available via Creative Commons license – SouthEastern Michigan Computer Organization, Inc.
Leo A. Notenboom of the Ask Leo! site has kindly released his articles via the Creative Commons license. Leo publishes frequently, and as of this posting, has 594 free articles of useful computer tips over several years of publication. It is possible to subscribe to his mailing list to receive updates of new content automatically. Leo’s kindness in using the Creative Commons license for his work allows re-use of the materials to help others. Please see his site for more details. Thank you to Bob Clyne for finding this resource! Enjoy! 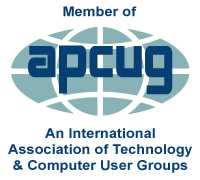 APCUG Virtual Technology Conference Saturday 7-May-2016 @ 1PM EDT!